If you’re at all into Japanese visual novels, AI: The Somnium Files has to be on your radar. 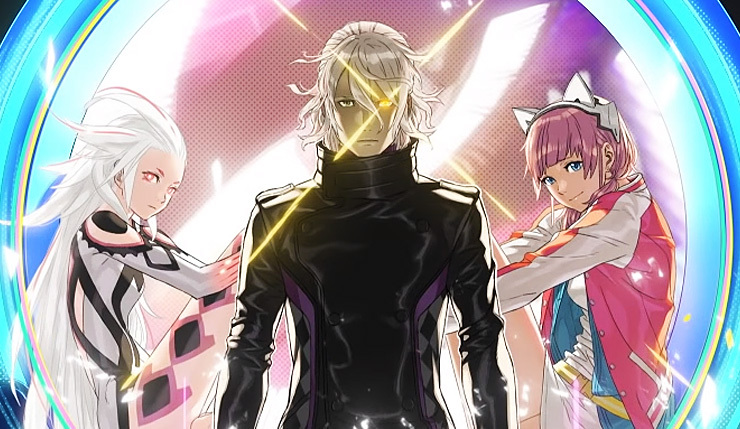 Directed by Kotaro Uchikoshi, who previously created mind-bending Zero Escape series, AI: The Somnium Files is a sci-fi murder mystery featuring a unique memory-reading mechanic and character designs from Yusuke Kozaki (Fire Emblem, No More Heroes). The game was announced last summer, but we haven’t got a chance to see much actual in-game footage…until now! A new gameplay trailer for The Somnium Files has been released, and it looks like this game is going to be every bit as trippy and sick as Uchikoshi’s past work. You can check it out, below. AI: The Somnium Files is a detective adventure game in which you investigate the mystery behind a series of murders in a technologically-advanced modern day Tokyo, Japan. The game starts out with a bizarre murder case where a body is found with the eye gouged out of the skull. Players take on the role of a detective named Kaname Date on the trail of the serial killer behind this murder. Date’s left eye is an artificial eye with an AI unit within it that he uses to solve crimes. People will not always give up information freely, so Date can enter their memories and extract information. These memories are kind of like dreamscapes. The Latin word for “dream” is “somnium,” so in the game the dreamscapes you enter are called somnium. 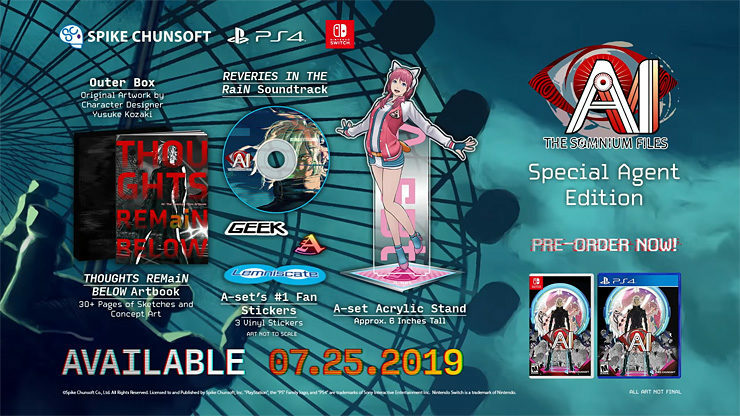 AI: The Somnium Files hits PC, PS4, and Nintendo Switch on July 25. Exist Archive: The Other Side of the Sky Review – Divine Assault: Nibelung Crystalis!